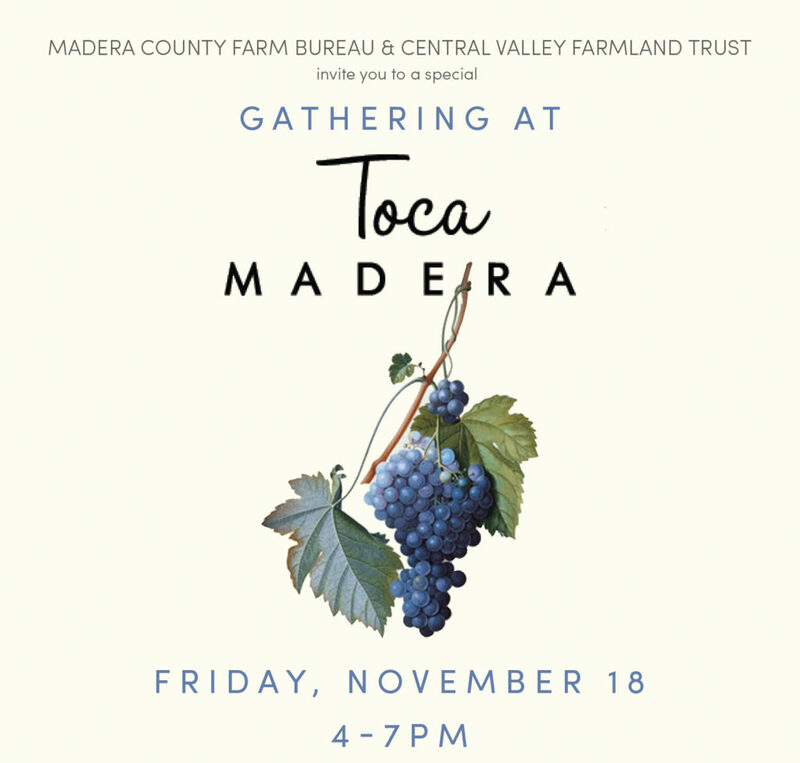 Madera County Farm Bureau and Central Valley Farmland Trust invite you to a special Gathering at Toca Madera Winery, Friday, November 18 from 4-7pm. 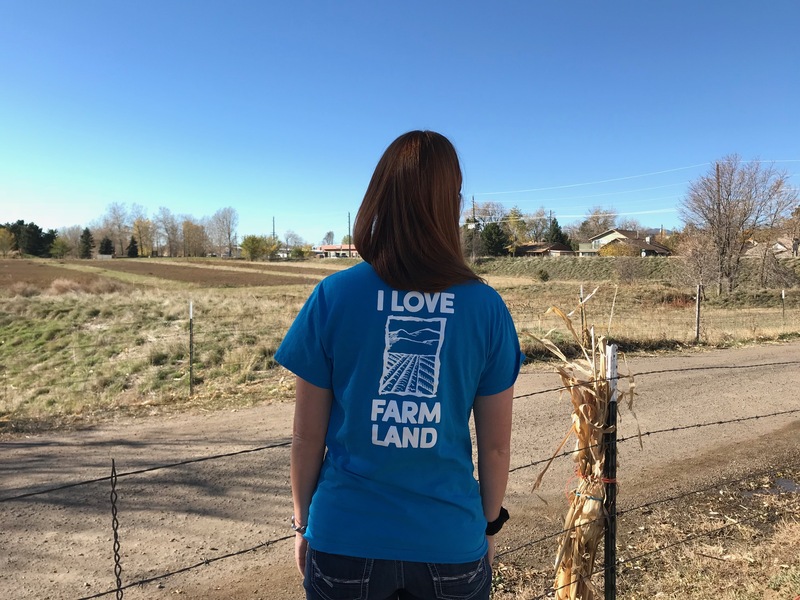 In celebration of CVFT beginning work in Madera County, the Madera County Farm Bureau is co-hosting a free gathering that will provide opportunities for local farmers and others to learn about agricultural conservation easements – an effective way for landowners to keep their land in farming. 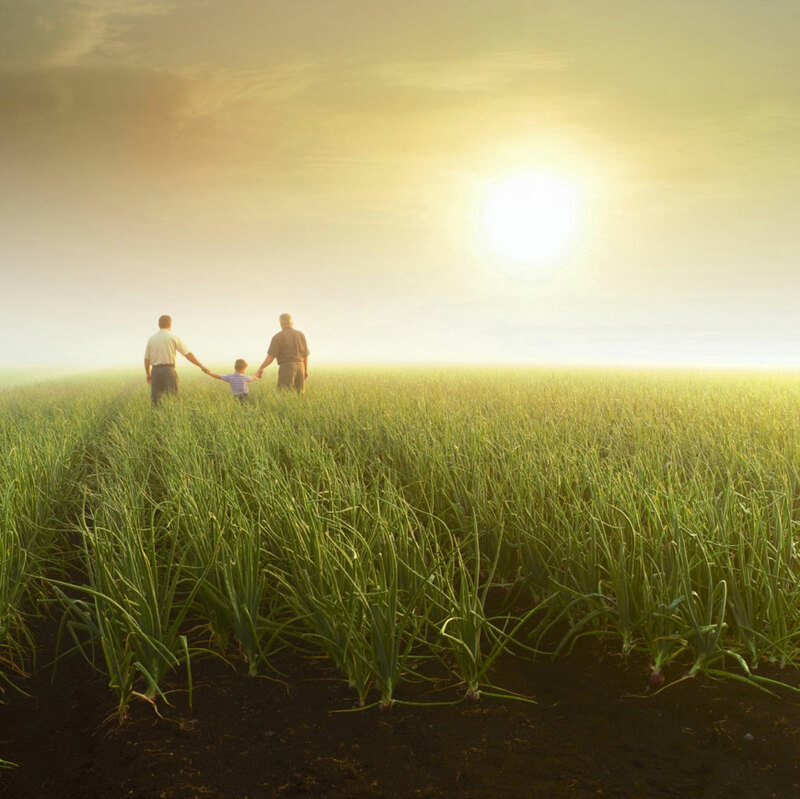 Please join us to discuss agricultural conservation easements and how they might benefit your farming operation at a relaxed, friendly gathering.